There is both heightened vulnerability to compounded inequalities as well as opportunity for law students from intersectional equality-seeking communities. This workshop will engage in an open discussion of those realities and discuss successful strategies for early stages from law school transition to the first 5 years of practice. Joanne St. Lewis was a former Bencher LSUC (now Law Society of Ontario) where she chaired its Equity & Aboriginal Issues Committee including initiating Retention of Women in the Legal Profession project. She was also the Vice-Chair of Professional Development & Competence Committee. Her areas of expertise include social justice/human rights. Ms. Syed-Emond practices in the field of civil litigation [personal injury] and wills/estates in a boutique law practice with her spouse. She is also a professor at Algonquin College in the paralegal and law clerk programs. 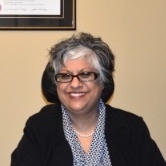 Ms. Syed-Emond was called to the Bar of Ontario in 2000. She is a graduate of the Faculty of Law at the University of Ottawa. She is the Chair of the Diversity Committee, County of Carleton Law Association. While at law school, she was one of the founding members of the On Line Law Library and Information System (OLLIS). The OLLIS project involved the creation of the first comprehensive electronic law library in the world for law students with print disabilities. Her work within the disability community continues today as many of her clients have suffered serious and permanent impairments and/or catastrophic injuries. She speaks English, French, Punjabi and Urdu. She also reads Arabic. Her client base has a significant amount of racialized individuals, and therefore, she is accustomed to dealing with issues surrounding diversity within the legal practice.